First prize awardee Marissa Karpack first became interested in engineering because it allowed her to engage her passions for science and personal interaction to “solve real problems for real people.” During her time in UW CEE, Karpack impressed faculty with her ability to excel in demanding courses, pursued undergraduate research and was involved in a number of student organizations in which she assumed leadership roles. Learn more about Marissa. Second prize awardee Colin Butler first became interested in engineering at a young age, thanks to a Lego collection that he used to build miniature Lego cities with intricate transportation systems and waterways. During his time in the department, Butler impressed faculty with his broad mastery of many subjects, his pivotal role as an undergraduate research assistant and his commitment to volunteering and assuming leadership positions for a number of student-run organizations. More than 1,300 people gathered on June 12, 2016, for the Department of Civil & Environmental Engineering graduation ceremony. A total of 270 graduates were honored, comprised of 14 Ph.D. graduates, 131 master’s graduates and 125 bachelor’s graduates. Chair Greg Miller presided over the event, which featured keynote and student speakers, award presentations, recognition of graduates and a reception. The department was honored to have alum Dr. Andrew Taylor (MSCE ’85) deliver the keynote speech. An Affiliate Professor in CEE, Taylor is an associate with KPFF Consulting Engineers in Seattle. During his keynote, Taylor stressed the trust the public places in civil and environmental engineers. The safety and lives of people depend on their judgement, he said. 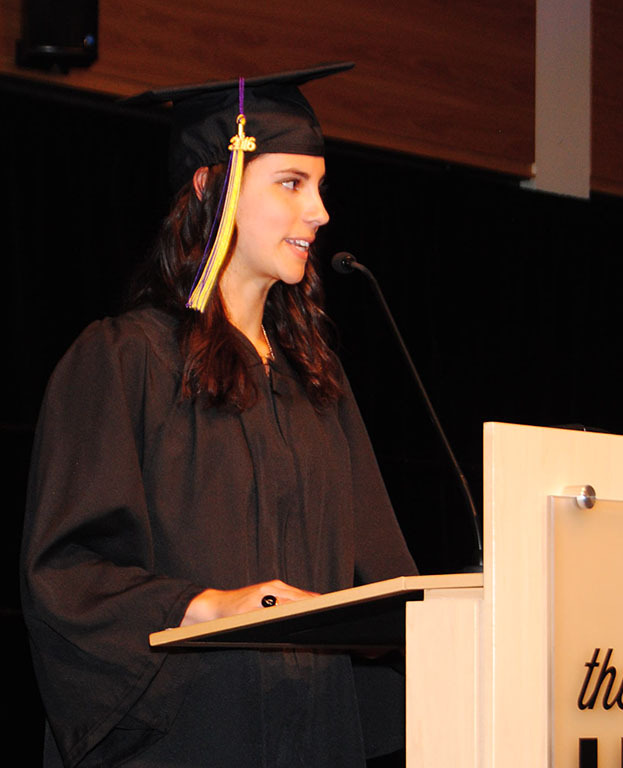 In an ever-changing field, Taylor advised the students to maintain a spirit of generosity, never lose a sense of curiosity and wonder, to not be afraid to change directions when opportunities present themselves, and to take the time to mentor others. Alum Dr. Andrew Taylor (MSCE ’85) delivers the keynote. Graduating senior Jenifer Ann Albright. Graduating senior Jenifer Ann Albright delivered the Student Reflections speech and shared some favorite memories, including a trip to Rome last year where she and classmates had an opportunity to bicycle down the oldest road in the world. She also spoke about her involvement in the Concrete Canoe Team. “It is more than building a canoe. It is also about building a team,” Albright said. The Neil & Ann Hawkins Award was presented to two students: Marissa Karpack (first prize) and Colin Butler (second prize). The annual award, established by former department chair Neil Hawkins and his wife, recognizes two outstanding graduating seniors based on academic merit, leadership and service, and communication skills. Learn more about the student honorees. The Neil & Ann Hawkins Award is presented to two students: Marissa Karpack and Colin Butler. 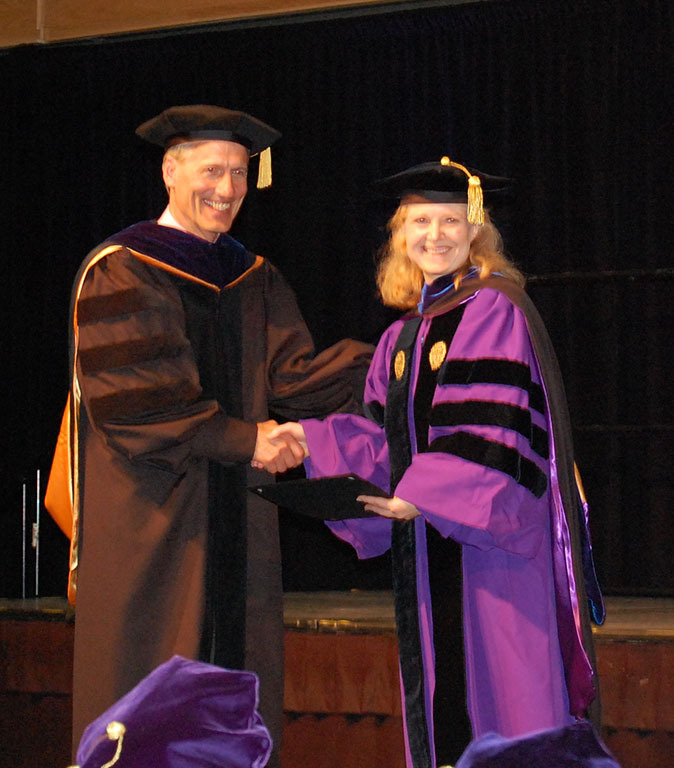 Chair Greg Miller presents the Faculty Teaching Award to Heidi Gough. The Faculty Teaching Award, determined by the vote of graduating students, was presented to Research Assistant Professor Heidi Gough. Student nominations highlighted how Gough welcomes student feedback, is an engaging lecturer and is extremely interested in the learning of her students. “She really tries to engage us and read our emotions to see if we are taking in the material presented,” wrote one student. The Faculty Mentoring Award, also determined by the vote of graduating students, was presented to the Structural Engineering faculty group. The award was presented to the entire group as all structures faculty members were nominated for either the teaching or mentoring award, said Chair Greg Miller. Accepting the award on behalf of the group was Professor Laura Lowes. The Chair’s Award was presented to Professor John Stanton. While most students say that Stanton’s class is the hardest class they’ve ever taken, his student evaluations are never low as a result, Chair Greg Miller said. The 50th reunion class was also honored at the celebration. 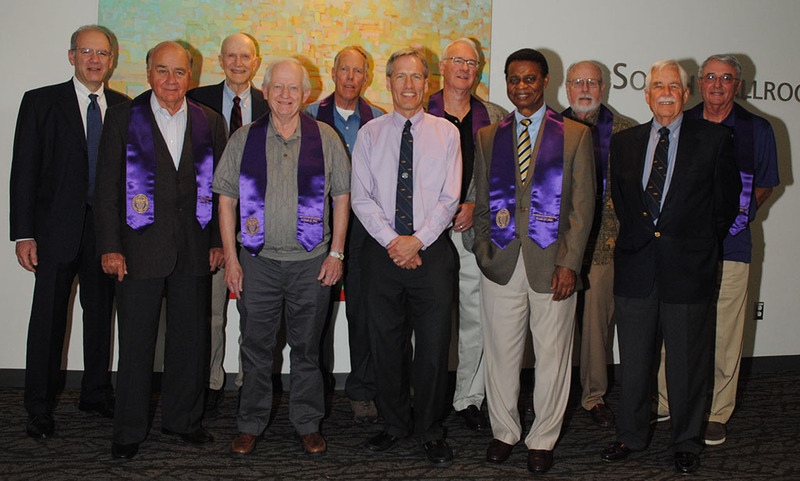 Alums from the class of 1966 were presented with commemorative “stoles of gratitude” and were invited to walk in the procession with faculty and graduates. The class of 1966 honorees. View graduation photos on Facebook. Additional photos will soon be available from GRAD IMAGES. Second prize awardee Colin Butler first became interested in engineering at a young age, thanks to a Lego collection that he used to build miniature Lego cities with intricate transportation systems and waterways. An interest in math and science in high school, as well as a passion for the environment and human infrastructure, led him to join UW CEE. 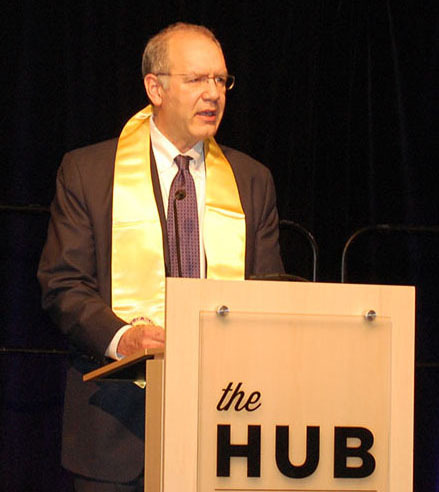 During his time in the department, Butler impressed faculty with his broad mastery of many subjects, his pivotal role as an undergraduate research assistant in the Mountain Hydrology Research Group and his commitment to volunteering and assuming leadership positions for a number of student-run organizations. “My initial reaction to receiving the Hawkins Prize was an overwhelming sense of pride and joy for my accomplishments, the staff and faculty who have supported me, and the friends and family who have been by my side along the way,” Butler said. Academically, faculty noted Butler’s wide-ranging excellence and his ability to excel in courses outside his primary environmental engineering focus, such as structural engineering classes. Butler also took classes outside of engineering through the honors program, participated in a study abroad program in Jordan and a research project in Antarctica. “Colin’s basic mindset, intelligence, willingness to explore, ability to problem solve in both practical and theoretical contexts, leadership, and interest in contributing are in direct alignment with discoverers throughout history,” said one faculty member. As an undergraduate research assistant in the Mountain Hydrology Research Group since 2014, Butler quickly became indispensable to the group in a short amount of time. He served as general lab manager, Web site manager and the point person for instrument upgrades and maintenance at the energy balance and snow measurement site near Snoqualmie Pass, where the team is studying the intermittent snow zone. Volunteer activities included being involved in Engineers without Borders and serving as president of American Water Resources Association. Looking to improve campus life at a broader scale, Butler also volunteered as the sole student representative on the UW College of Engineering’s Council on Educational Policy (CEP). On the CEP, Butler provided feedback on a variety of topics likely to impact current and prospective students. “I have been consistently impressed by the confidence and diplomacy with which he presents his views during our discussions, especially considering that he is the sole student on a committee comprising much more senior faculty and staff from the College of Engineering,” said one faculty member. Following graduation, Butler will continue to work as a research assistant and field technician for the Mountain Hydrology Research Group through the summer. In the fall, he will join a hydrology and hydraulic engineering consulting firm, Watershed Science & Engineering, in Seattle. As a junior engineer, Butler will model rivers and floodplains, conduct flood and dam-break analyses and carry out watershed studies in the northwest. UW CEE student Dennis Altamira. In humid, hot weather, the UW Concrete Canoe Team claimed 10th place at the National Concrete Canoe Competition at UT Tyler, Texas, this past weekend on June 9-11, 2016. A total of 21 teams competed in the final competition for the year. “All team members gave their very best to achieve this,” said faculty advisor Peter Mackenzie-Helnwein. The team members competed in a number of races, including women’s endurance, men’s endurance, women’s sprints, men’s sprints and co-ed sprints. In addition to placing 10th overall, the team took seventh place for their design paper and sixth place for final product. The team’s 40 members, comprised of undergraduate students, design, build and compete against other teams from colleges throughout the United States. The UW team has a strong record of winning and took first place in the Pacific Northwest Regional Competition in April 2016. This entry was posted in Uncategorized on June 14, 2016 by ceenews. 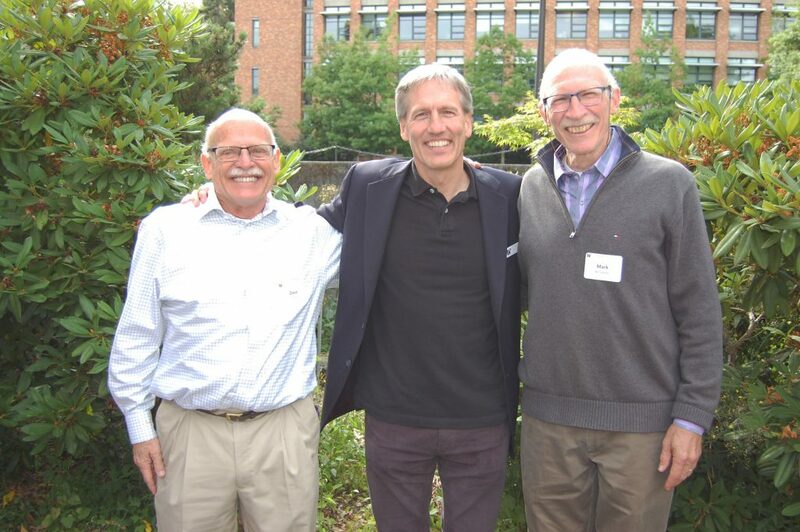 Professor David Stensel, Department Chair Greg Miller and Professor Mark Benjamin, from left. The UW CEE Community celebrated the retirements of two faculty members at the department’s spring mixer on June 9, 2016. Mark Benjamin retires after 39 years with the department and David Stensel retires after 32 years. Department Chair Greg Miller presented both with gifts and shared highlights about each faculty member. From authoring textbooks to founding a start-up to advancing research, both Benjamin and Stensel have achieved much during their tenure in UW CEE. Learn more about the accomplishments of each below. Farewell, thank you and good luck to both in retirement! After 39 years with UW CEE, Professor Mark Benjamin is retiring. Benjamin joined the faculty in 1977 and during his tenure has advanced water treatment research, founded a start-up, written two textbooks and assisted with humanitarian aid projects through Engineers Without Borders. Learn more. 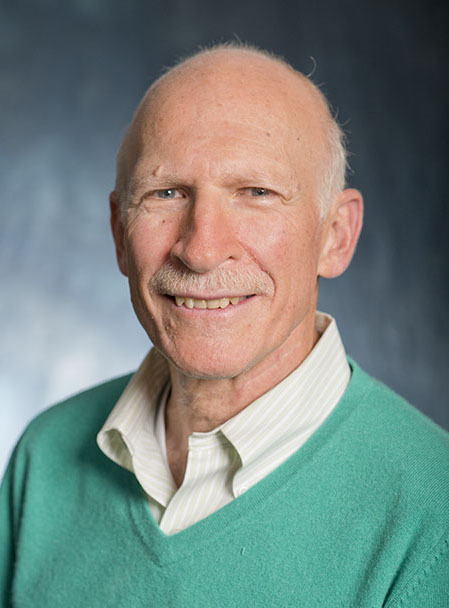 Professor David Stensel is retiring from UW CEE after 32 years with the department. 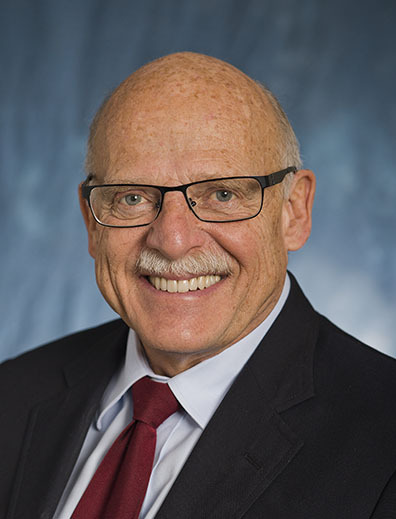 Stensel joined the UW CEE faculty in 1984 and has been an expert in biological processes in removing contaminants from wastewater, enabling cleaner water to be returned to the environment. He has authored a textbook and received numerous awards. Learn more. This entry was posted in Uncategorized on June 10, 2016 by ceenews. Professor David Stensel is retiring from UW CEE after 32 years with the department. Stensel joined the UW CEE faculty in 1984 and has been an expert in biological processes in removing contaminants from wastewater, enabling cleaner water to be returned to the environment. In honor of his dedication and service, Stensel was recognized and honored at a department celebration on June 9, 2016. Stensel received his Ph.D. in Environmental Engineering from Cornell University. He joined UW CEE after teaching at the University of Utah for four years and working in industry for a decade. With an aptitude for math and science during high school, Stensel originally planned to become a math teacher, but became interested in the field of civil engineering during college, which led him to explore environmental engineering. At the time, emerging environmental water issues piqued his interest. 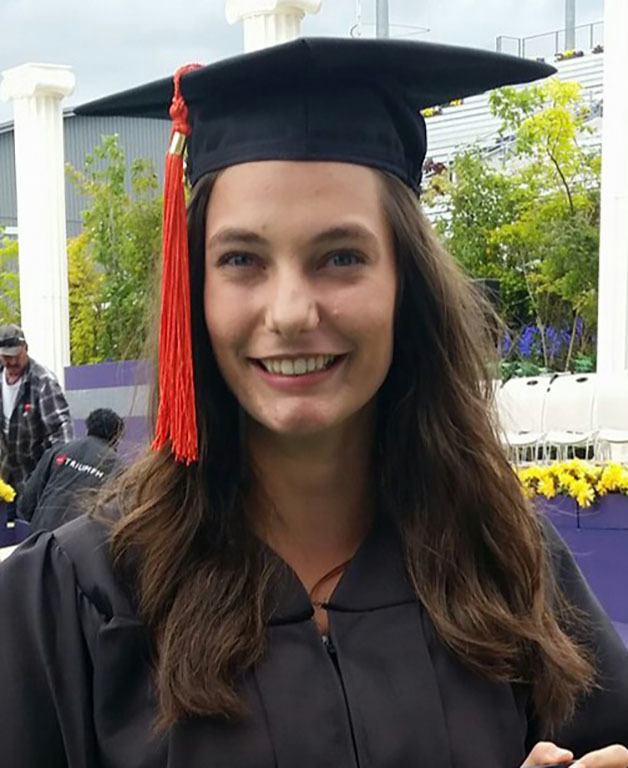 “I got into environmental engineering and it just clicked,” Stensel said. Stensel is most well-known for his work on biological nutrient removal processes. With biological treatment processes, Stensel uses microorganisms in different reactors and designs, to break down organic substances in wastewater without the use of chemicals. Stensel has focused on phosphorus recovery as well as the biodegradation of estrogen compounds in wastewater treatment. In recent years, Stensel’s research has expanded into the area of anaerobic codigestion for biomethane production. The anaerobic digestion of food waste has the potential to turn food waste into methane for use as a fuel source. Stensel is the co-author of a textbook on wastewater engineering that is widely used in the classroom and by practicing engineers. Titled “Wastewater Treatment Engineering,” the fifth edition was published in 2014. Over the years, Stensel has received numerous honors, including the ASCE Rudolf Hering Medal, the Water Environment Federation Harrison Prescott Eddy Medal, which he was awarded twice, and the Water Environment Federation George Bradley Gascoigne Medal. Last year, Stensel received the Frederick George Pohland Medal from the American Academy of Environmental Engineers and Scientists, which recognizes individuals who have demonstrated practical research applications. “The award meant a lot to me, since that’s what I’ve been trying to do,” Stensel said. Stensel may be just as busy as ever during retirement, with plans to embark on consulting work as well as continue selected research projects. Thanks to a recent NSF grant, Stensel will be working on a new research project together with Assistant Professor Mari Winkler, with the goal of developing a new approach to biological wastewater treatment that may reduce the amount of space wastewater treatment plants consume. He also hopes to devote more time to a few professional organizations, such as the Water Environment Federation and Pacific Northwest Clean Water Association. And, perhaps most rewarding, he will spend more time with his two grandchildren, ages 10 and 8. Thanks for 32 great years, David! After 39 years with UW CEE, Professor Mark Benjamin is retiring. Benjamin joined the faculty in 1977 and during his tenure has advanced water treatment research, founded a start-up, written two textbooks and assisted with humanitarian aid projects through Engineers Without Borders. In honor of his dedication and service, Benjamin was recognized and honored at a department celebration on June 9, 2016. Benjamin joined UW CEE after earning his Ph.D. in Environmental Engineering from Stanford University. Originally studying chemical engineering during his undergraduate and master’s degrees, Benjamin switched to environmental engineering after learning about the discipline from a friend who was studying environmental engineering. Over the years, Benjamin has become an expert on physical and chemical water treatment processes. His long-term research focus has specifically been on the removal of natural organic matter (NOM) from potable water, which originates when decaying plants are washed into water. In the 1970s, it was discovered that NOM reacts with the chlorine added to drinking water, resulting in formation of chloroform and other carcinogenic products. Benjamin and his graduate students began to work on a solution to the NOM problem in the early 1990s. While working on an approach to prevent NOM from plugging up membranes, one graduate student, Yujung Chang, developed a process for removing the NOM from water. The UW patented that process while Benjamin and his students continued to advance it, and last year Benjamin and another student, Nathan Cai, founded a company called MicroHAOPS Incorporated to commercialize the technology. During retirement, Benjamin plans to continue his work with the start-up. In addition to his research, Benjamin also has published two textbooks. The first, a widely adopted graduate-level textbook on water chemistry, was published in 2002. A second textbook was published in 2014, on water quality engineering and treatment processes. 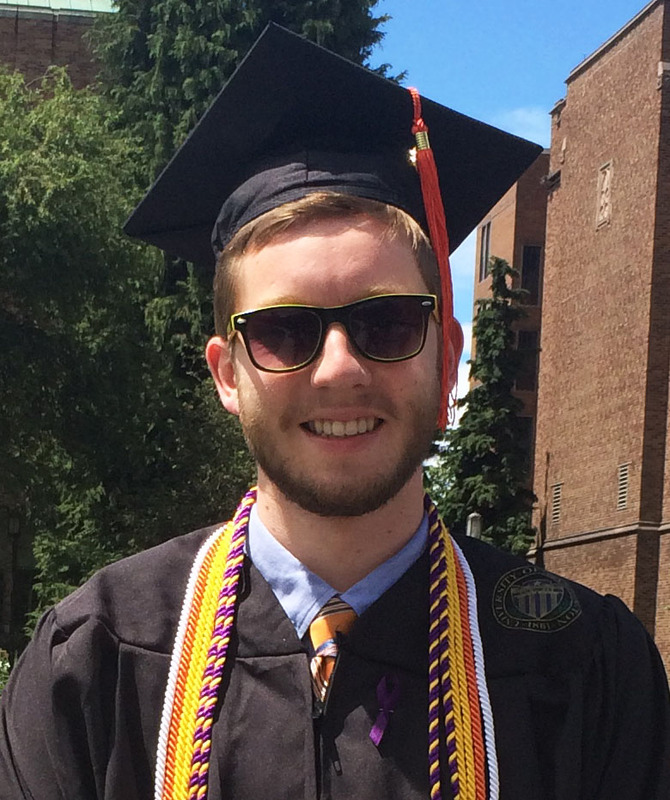 Benjamin has also been involved in the UW chapter of Engineers Without Borders since its inception in 2005. As an advisor for the team, which connects engineering students with projects in other countries that help meet basic human needs, Benjamin says his role is to be the “voice of experience” and encourage students to take each project a step at a time. In the past decade, the team has completed a variety of projects in Latin America, from installing cook stoves with chimneys to reduce indoor air pollution to installing irrigation systems that enable a second annual harvest to rehabilitating a fish hatchery to improve a community’s economic viability. Benjamin is the recipient of a Fulbright Fellowship as well as several awards for best publications in various journals. He was a distinguished lecturer for the Association of Environmental Engineering and Science Professors (AEESP) in 2009-2010, which entailed a lecture tour to 20 colleges throughout the U.S. Benjamin is also proud that four of his students have won awards for best doctoral thesis in environmental engineering from various societies. Thank you, Mark, for 39 great years! Steve Kramer accepts his prize from Canadian artist Louise Daoust. Every year a new artist is commissioned to create a painting for the awardee. UW CEE Professor Steve Kramer has been honored with the 2016 Nigel Priestley Prize and is the first geotechnical engineer to receive the award. Bestowed by the European Centre for Training and Research in Earthquake Engineering (EUCENTRE), the award honors individuals who have demonstrated excellence in innovation, creativity, research and education in the area of earthquake engineering and engineering seismology. Kramer received the honor in May 2016 at the culmination of the two-day Nigel Priestley Seminar, held at the CAR College of Pavia, Italy. The prize was a painting by Canadian artist Louise Daoust. 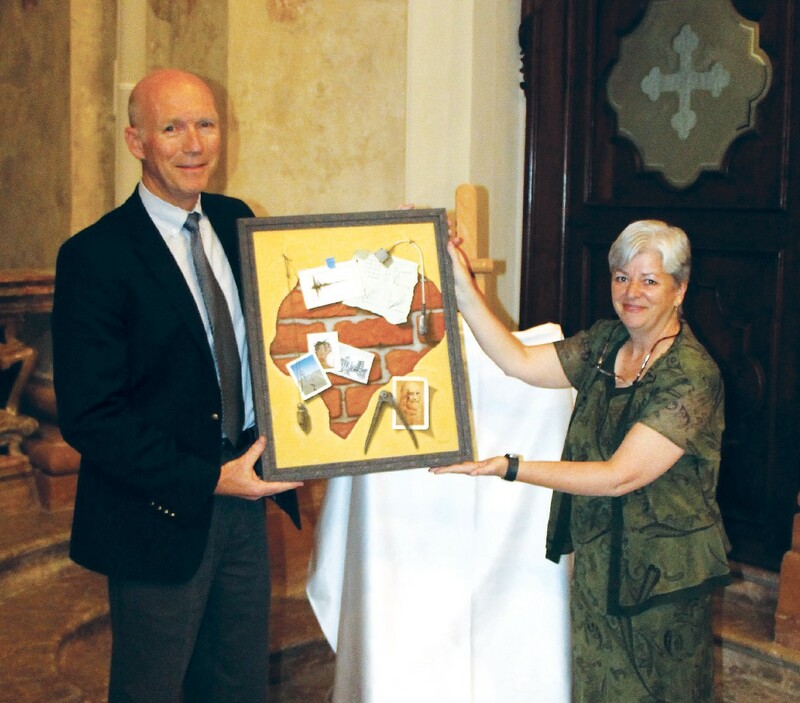 Each year, a new artist is commissioned to create a painting of their interpretation of earthquake engineering, which is presented to the awardee. An expert in performance-based earthquake engineering, which aims to develop technologies that reduce the hazards of earthquakes, Kramer has been associated with the EUCENTRE since 2007, when he was first invited to teach a class at the European School for Advanced Studies in the Reduction of Seismic Risk (the ROSE School), one of the EUCENTRE’s organizations. Offering master’s and Ph.D. degrees in earthquake engineering, the ROSE School invites well-known faculty from around the world to spend a month teaching an intensive course. Kramer returned again in 2010 to teach. The EUCENTRE’s research focus is primarily on performance-based earthquake engineering. Through Kramer’s work with the Pacific Earthquake Engineering Research Center, he has become an expert in this developing area, particularly in the U.S.
“I think my selection was due to the EUCENTRE’s appreciation of the relationship between my research and theirs, and their desire to recognize the importance of geotechnical aspects of earthquake risk,” Kramer said. This entry was posted in Uncategorized on June 9, 2016 by ceenews. The UW CEE Concrete Canoe Team at the Pacific Northwest Regional Competition in April 2016. 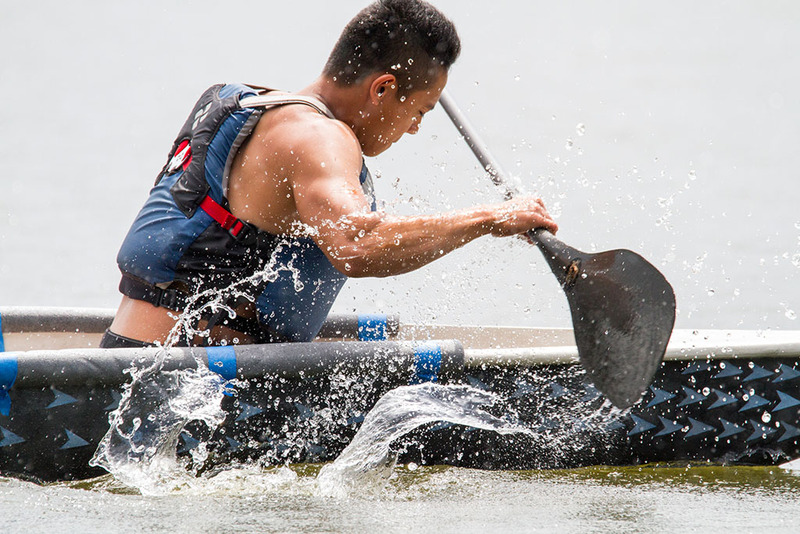 UW CEE’s Concrete Canoe Team is featured in an article on the UW Homepage. The team’s 40 members, comprised of undergraduate students, design, build and compete against other teams from colleges throughout the United States. The team has a strong reputation, with 12 regional championships and four top-10 national finishes in the past 40 years. Most recently, the team took first place in the Pacific Northwest Regional Competition in April 2016. Coming up, the team will compete at the National Concrete Canoe Competition at the University of Texas from June 9-11, 2016. This entry was posted in Uncategorized on June 6, 2016 by ceenews.